This is a stupid thing to set on default. Why should my Apple devices automatically do this without me asking them to? It’s a bit like someone who you have invited to your house randomly going through your stuff without asking and then chucking some of it out of the window. Yes, it’s true, all sorts of things can get deleted or overwritten through an automatic sync. Anyway how to prevent this happening is a useful thing to know so I thought I’d write a quick post about it. Yes, it really is that simple. 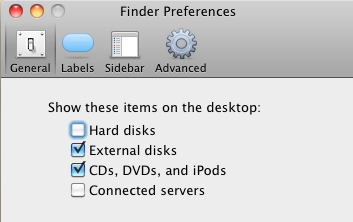 Of course, if you find later you want your iDevice to do this just untick the box. 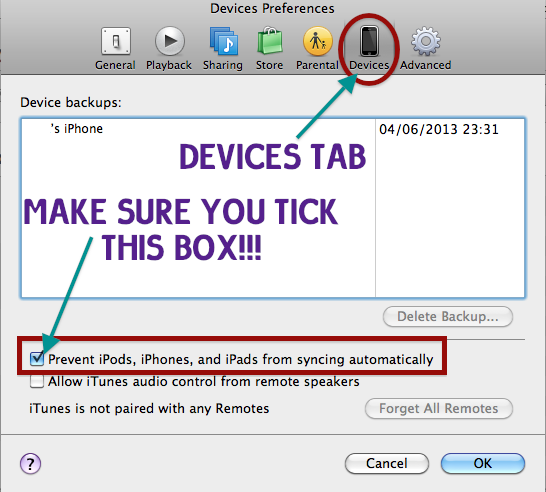 NOTE: if you want to use software that is not iTunes to access your iDevice it is better to tick this box just in case. Seriously. Don’t ever use a browser that does things like this by default. But I digress. So, I had my Macbook Pro back all fixed and such and I installed Firefox and everything was working fine. And then I downloaded a couple of pdfs using Firefox and they opened themselves automatically. And it kept happening. Whenever I downloaded a file, regardless of type – pdf, mp4, png or whatever, it would open automatically. 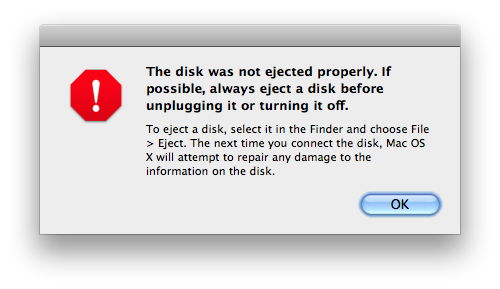 Now, I do NOT like my computer to open things without me asking it to. EVER. I assumed the issue was with the browser I was using, so, naturally, I was looking for a solution in the Firefox preferences. I should have remembered that this had never ever happened before in all the ten years I have been using Firefox. But thinking logically, if you were having problems with files automatically opening after being downloaded using a browser, you’d think the problem would be with the browser, right? The problem is NOT with Firefox!! It is with Safari!!! Stupid stupid Safari. If you have Safari installed it is causing this problem!! !